Dhar is yet another offbeat place in Malwa region of Madhya Pradesh. 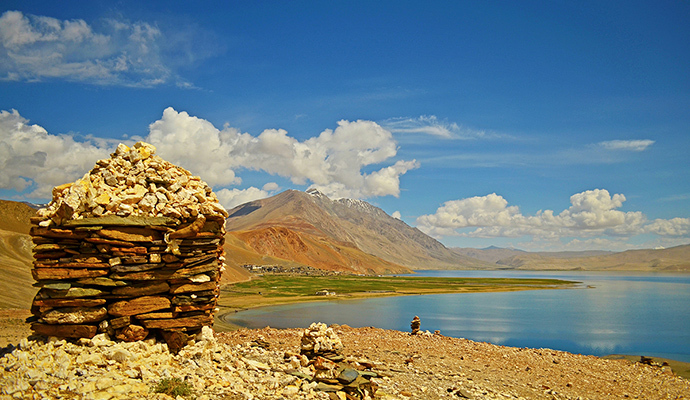 Surrounded by barren hills and nestled close to lakes, Dhar is an old charming town that has old embankments, many architectural structures of historical importance. 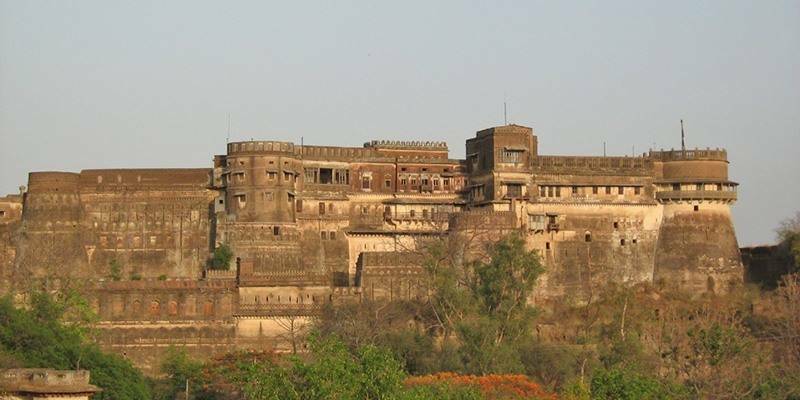 Dhar fort is the most important attraction of the town. The town of Dhar was once capital of the kingdom of legendary King Raja Bhoj. Dhar is only about 60 KMs from Indore and 35 Kms from Mandu. Mandu is a small hilly town about 60 KMs from Indore. A perfect place for history buffs and lovers of architecture, Mandu used to be the capital of the Parmar rulers of Malwa. Full of architectural splendors dating back to as far as 10th Century, Mandu is a truly a hidden gem in the heart of Madhya Pradesh. 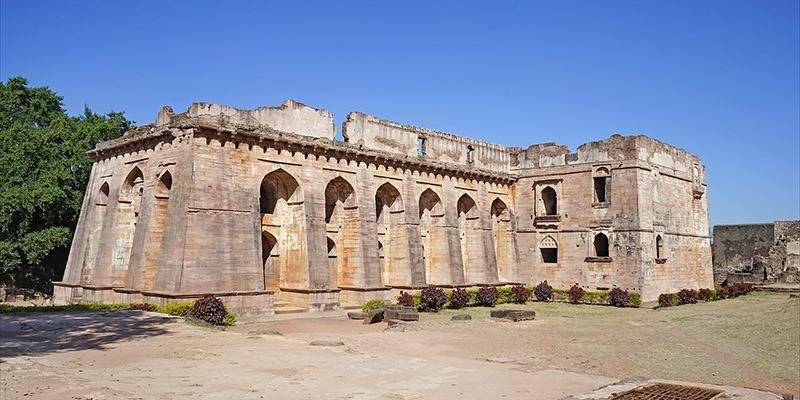 Though now in ruins but still an architectural wonder, Mandu fort is the chief attraction for the town. 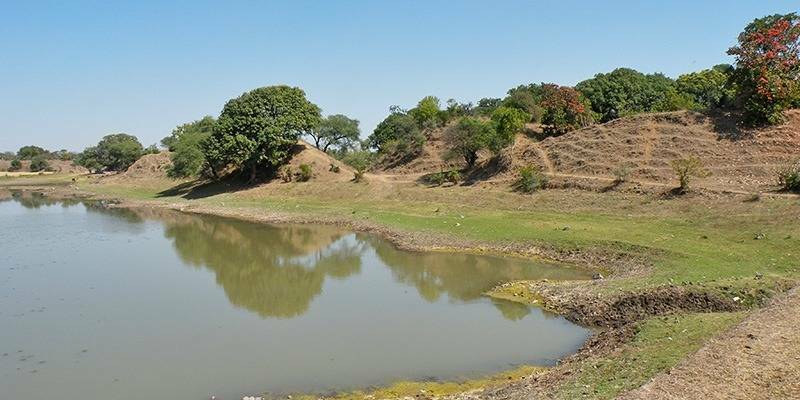 Surrounded by lakes, hills and dense forests lies Chanderi, a small town of great historical importance. Also famous for its handwoven Chanderi sarees, Chanderi used to be epicenter of Jain culture in Bundelkhand region of Madhya Pradesh. Chanderi has over 300 historical monuments and most notable among them are the 9th and 10th century Jain temples which attract Jains from every nook and corner of the country. Other most popular monuments are Shehzadi Ka Rauza, Kati Ghati Gateway, Jauhar Monument and Koshak Mahal. Chanderi is about 220 KMs from Bhopal and 250 KMs from Gwalior. 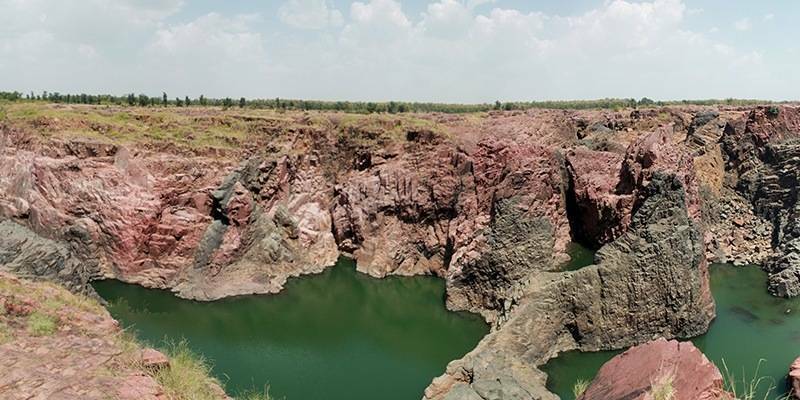 Home to the only diamond mines in India, Panna is known as city of Diamonds. Famous for three things, The Panna National Park, its diamond mines and ancient temples – Panna must be on itinerary of any Travelere visiting Khajuraho. Khajuraho is just 45 Kms from Panna. Thanks to its terrain of cliffs and ravines along the river, Panna National park proves a great habitat for wild animals. Jeep Safari are conducted twice in a day, in morning from 6:30 am to 9:30 am and then in afternoon from 03.30 pm to 06.30 pm. 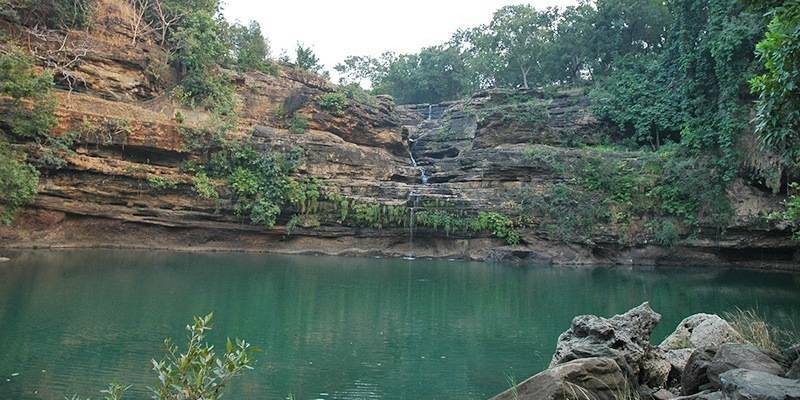 There are many waterfalls around Panna as well such as Pandava Falls and Dhundhawa Falls. Not many people have heard the name of Burhanpur and must be unfamiliar with its connection with Taj Mahal. Founded in 14th century by Faruqi dynasty, Burhanpur came under Mughal rule in 1601 AD. 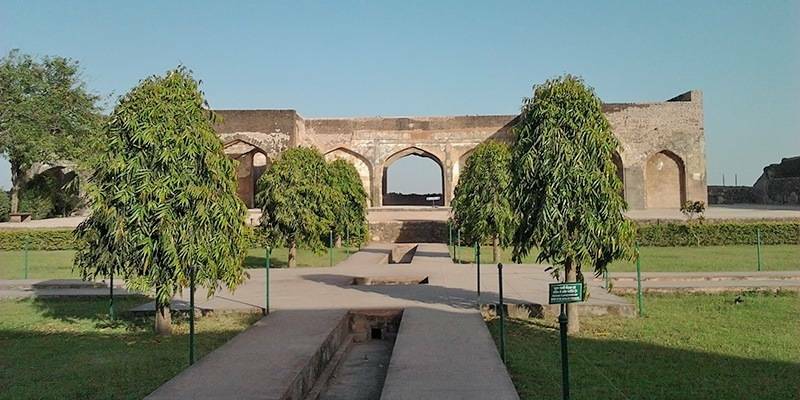 Due to its rich political history Burhanpur area is scattered with many historical monuments belonging to the Mughal era. Emperor Shah Jahan visited Burhanpur often and was responsible for construction many structures in the town. Shahi Qila, the splendid palace next to Tapti River is one of the examples. Many building are in ruins now, but still one can see the grandeur of past in intricate carvings and paintings. It was here in Burhanpur that Shah Jahan’s beloved queen, Mumtaz Mahal died giving birth to their 14th child. It is said Taj Mahal is inspired by a monument in one of the paintings here. 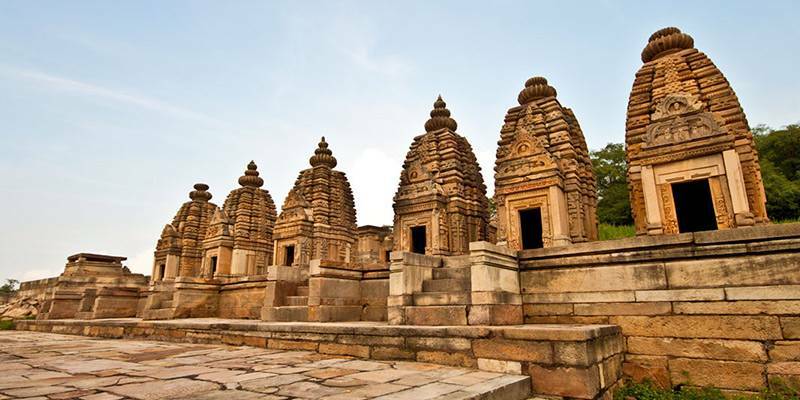 Located close to both Khajuraho temples and Panna National Park, Ken Gharial Sanctuary is located close to the confluence of Ken and Khudar rivers. One can take their own vehicles inside the Sanctuary by paying a fee and taking mandatory services of the Jungle Guide provided by Forest department. Winters is the best time to visit the sanctuary as Alligators (Gharial) being cold blooded, can be easily watched soaking the sun outside. One can take a boat and watch these animals from quite up-close. Raneh waterfall is also very close to the sanctuary. Ken Gharial Sanctuary remains closed to visitors during Monsoon season. 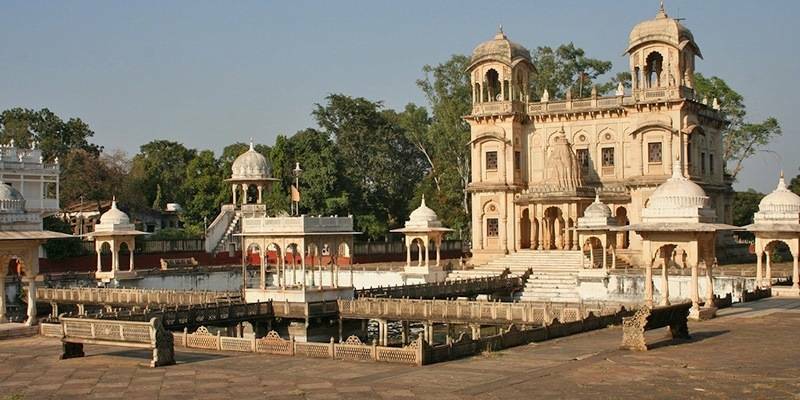 Shivpuri is another offbeat gem in Madhya Pradesh known for its historical buildings. Shivpuri area is mostly surrounded by deciduous forests and used to be the hunting grounds of emperors and Shivpuri used to be the summer capital of Scindias. Ramparts of an old fort are still a good sight to visit. There are many ‘Chhatris’, in Shivpuri made out of marble and are a piece of genius architecture. Madhav Vilas Palace and Karera Bird Sanctuary are other places of interest in and around Shivpuri. Once part of Orchha kingdom, Tikamgarh is a small yet an offbeat destination that deserves a visit if you love history and rich architecture. Its most famous structure is Tikamgarh Fort. 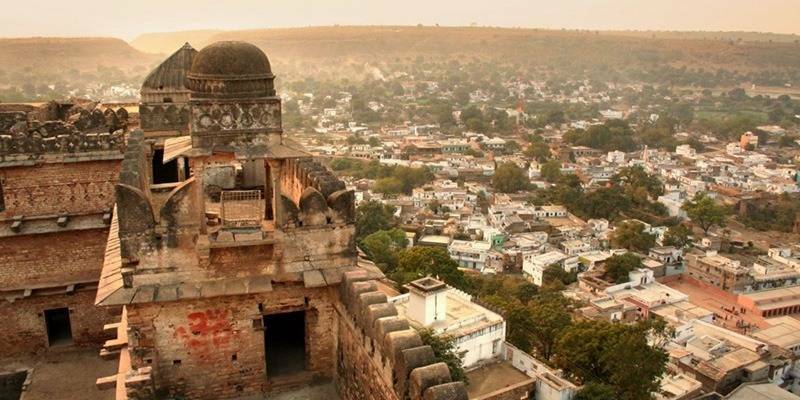 Tikamgarh was founded in early 16th century by the Bundela king, Rudra Pratap Singh who also built the Tikamgarh Fort. Tikamgarh is about 80 Kms from Orchha. Just 40 KMs from city of Gwalior is situated Bateshwar, home to over 200 ancient temples belonging to 8th to 11th century AD. The sandstone temples here are mostly dedicated to Shiva and Vishnu and were built 200 to 300 years before those of Khajuraho. Only in few places in whole of India would you find concentration of so many temples at one place. Considering how old these temples are, it’s a wonder that so many of them are still in such a good shape. 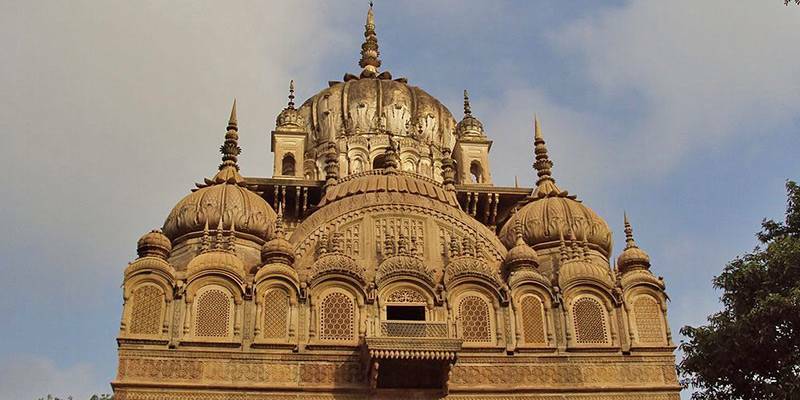 Situated in the famed Chambal region of Madhya Pradesh, Bhind must be visited for its architectural beauty. 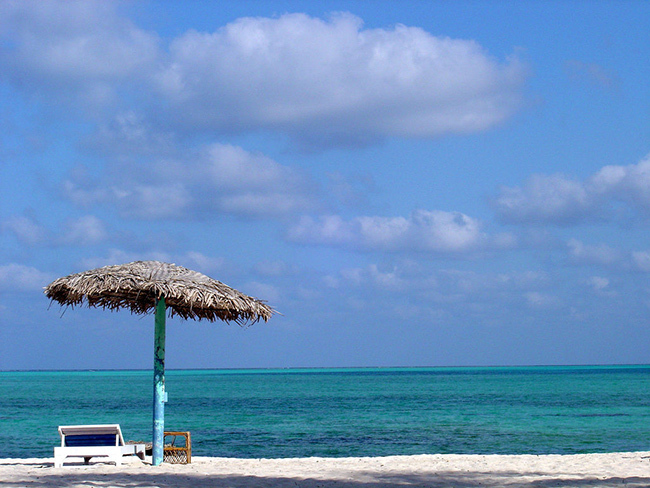 Bhind is famous for its ancient temples and structures such as 17th century Ater Fort. Presently not in the greatest of conditions, Ater fort is about 30 KMs for Bhind town and deep inside the ravines next to Chambal River. Another fort, Gohad fort is about 40 KMs from Bhind. One must not miss a visit to Pachnada, place where as many as five rivers meet Pahuj River, Sindh River, Kwari River, Chambal River and Yamuna River.